“I am in a bad mood. Do not disturb me. Just leave me alone!” Does this phrase sound familiar to you? We have been living in a life filled with complexity, a world where we have complicated personalities, complicated social and cultural environment and being simple is no longer in our vocabulary. We have lost all the simplicity even when we were a kid, chasing dreams, getting good education and gaining the experiences that we need in our lives. By knowing more and being literate, we tend to explore more into the unknown and thus complicate and confuse ourselves even more. We ended up being a questioner, a doubter or a skeptic. The outcome would be that you will not believe and trust things or a person easily, unless you see them in your own eyes or experience them yourself. Even a relationship will turn sour because of the lack of trust to believe the other person. In a relationship trust and believe are the two main requirements. A person will always need a good relationship for his own psychological development. This is where we learn and grow. This is where we understand each other better with openness, sincerity, care, love, respect and patience. Sometimes relationships become entangled when there is a lack of communication or miscommunication. Just remember this. No one is perfect. There is always a flaw in every single one of us. This flaw should not be used as a mean to spoil a relationship. Whatever dispute that may arise, it should end with love, understanding, respect and appreciation. Otherwise, it will not be called a relationship. Relationship is when love exists to enable two people to stay together, understanding and appreciate each other unconditionally. Judging ideas and ideals on another will cause great conflict. “You have to”, “You must, “You should” are some of the expectations in a relationship that will hinder free communication between two people. In the end, you cannot change him and he cannot change you and the relationship will turn sour eventually. Changes will not happen overnight. The more you forced that onto a person, the more tension he will have to be even near you. The further apart will the relationship be. If you intend to commit yourself into a relationship, accept who the other are and not what you want him to become. If he is truly in love with you, he will change for the better without even being told. On the other hand, some relationships can be quite strange. Strange? Indeed people are strange. When you love someone and you sacrificed all that you have and yet you felt so empty. You felt as if the relationship is so insecure because you have no feedback or reaction from the other party. It is not that the other party is not aware of your sacrifices, but deep inside him, he is aware of your existence. It is in the human nature that nobody would want to be indebted to anybody. If you have sacrificed for someone you love, just forget about the repayment. Take it as if it is a community service. If they remember, then you are in luck. If they do not and you reminded them of what you did, they will hate you forever. Don’t you think that is strange? Don’t you think that the human mind is rather complex? When you think you know what the other would want but in the end you get confused over what is in the mind of the other? You will end up asking yourself whether you are with the right person. Whatever happened to a person is how it is. It is a matter of knowing it and not by judging what you see. As soon as you add to it in any way, it becomes more personal, emotional and complicated. This is not how life should be. Living life should be as simple as possible. There is a box of apples of which some are infested with worms. Which apple would you choose? 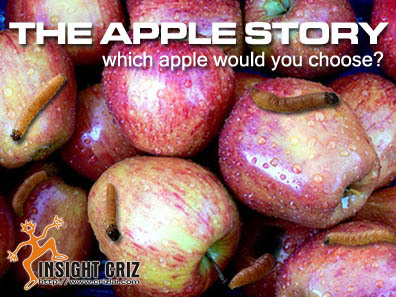 Would you choose a good apple or one with a worm sticking out? Most people with the right mind would have chosen a good one. Since birth, we were educated to accept things that look good or feel good. This has turned into a custom or a belief in our life from generations after generations, without mindfully considering the effect it will have on out lives. If I were to be given a third choice, I would not choose any apples from that box. What for I choose an apple which look beautiful amongst all that are infested with worms? The apples would have come from the same tree and there could be worms inside too. The same way applies to our life. Looks can be deceiving until you understand deeply into the heart of a person. We would not know the intentions or motives of a person by just having a glance. It will take time before we can understand him better to accept him into our life. If I have no choice but to choose either one of the apples, I would have chosen the one which looks good but with a worm sticking out of it. At least I will know there is a bad part which I can cut off in order to enjoy the balance of the fruit. As in life, no one is perfect and all of us have a bit of evil in us. If we are aware of the bad section of our life, we can learn how to cut that part off in order to have a sweeter life. The key to a person’s heart is by understanding him better. And in any relationships in our life, the most valuable part is friendship. Life cannot be real if a relationship is not real. Thus friendship would not be real either. In most cases, friendship is not for real. It is just a game. It is just a deep craving for companionships. The days of having an honest, sincere, genuine, non-manipulative relationships hardly existed anymore. What has happened to the mutual respect and trust of a relationship today? People are becoming more inhuman due to lack of good relationships. Just like the apples, the more worms they have, the faster they get infested. Nowadays, it is getting harder and harder to pick a good apple from any box as most of the boxes out there are having the same problems, worm infestations. There are so much uncertainty, insecurity, grief and anguish in our world. Can you really find someone who is almost perfect nowadays? I doubt it. Conditions are ever changing. One moment you see a good apple, and as time passes, it might not last up to your expectations. Just as in life. Good things in life are ever changing too. The happy moments, a loving relationship, success, good fortune, friendships; they are always changing. As in the gravity principle, what goes up will eventually come down. Life is full of the unexpected and impermanence. We are all caught in this condition. We hardly have the control over life situations. We tend to have the mind set of “If you can’t beat the crowd, join them”. We adapt ourselves to the ever changing conditions, thinking that it will liberate us from any harm. This is totally wrong. How sure are you that being a good apple in a box of worm infested ones will not affect you at all? It is a matter of time that you will have a “soft spot” unknowingly and the worm will slowly creep into your heart. This is life. A life filled with unseen threats. Unless a person is fully conscious to acknowledge things as how they are, whether they are good or bad influences to his life, he would be just like an apple in the worm infested box. There would not be any ending to any problems. 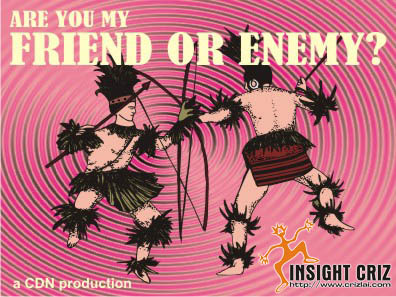 ARE YOU MY FRIEND OR ENEMY? 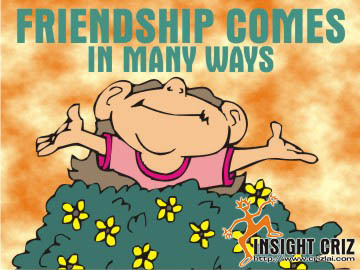 In our journey of life, we do come across many people whom we will later address as friends. Are these our true friends or simply friends in disguise? Sometimes, it is rather hard for us to identify properly who they are anymore. One thing very obvious is that we should not be afraid of enemies who will attack us upfront but those who flatter us all the time. No one in this world is free from opposition. Even the great philosophers and religious leaders are not exempted. On top of every good principles and values, there ought to be someone out there who will oppose them. Great people never give up on holding on to their principles even though they have to sacrifice themselves for the better of others. The worst enemy for us is the anger we have within us. Anger will not bury anger but create the worst out of us. Human minds are like gases. When there is fire, it will burn instantly or even explode. We have to be aware that there is a switch to turn off the gas. If we do not know how, it will burn forever until there is no longer any gas left. How long do you think a gas tank will last? What about those with centralized gas systems? It will take a very long time right? In the process, this will harm our health. It will also kill us unknowingly. The same principle applies on us. Anger will kill us! In fact, isn’t that what your opponent want of you? At times, your opponent might even possess certain good qualities which you can learn from, some even better than your associates. By learning and understanding the flaws in ourselves will make us even wiser in avoiding such future confrontations. Confronting war with war is idiotic. It will never end. There will never be a winner too. Victory breeds hatred. The vanquished live in pain. Good people will have opponents too as there tend to be natural conflicts between good and bad, pure and evil, black or white, or whichever you call them. By returning evil to evil, you will end up evil yourself. Being a cultured person, treating your opponents with love and understanding would be the solution. It may sound illogical and nonsensical but it works most of the time. Disputes and disagreements happen frequently amongst our friends. In order to maintain the friendship, admit and apologize when we realized we were wrong. Open up and have a heart to heart talk to settle any misunderstandings. Treat jealousy with love and hope that by doing so, your opponent will someday have a clearer mind to see your true intentions. I must admit that no one is perfect in life, not even me. There are many times in my life that friendship ended due to the simplest stupidity between two parties. When either party had a clearer mind years later to realize the stupidity, it did bring the relationship back and this time even closer. This has indeed proven that different people have different speed of acceptance on any good principles and values in life as age matures. As time changes, people changed for the better or worst. It is up to us to decide which side we would like to step in. Have you realized that when you have mood swings, the decisions that you have made do not always turned out to be as expected? Even when you are in an extremely good mood, the emotion in you might cause bias decision and you will regret one day for making that decision. Try study yourself in front of a mirror when you have bad or negative emotions. You tend to look silly. If you try to stretch that muscle of yours and smile deliberately, your negative emotion will just disappear and you will not feel so stressful. In fact, some people do carry small mirror with them. By just looking at their own facial expression during bad moods will psychologically made them forget about the cause of the mood swings. The best way is to ask the people around you on how many different ways we act in front of them. You will be surprised on their answers as we have many different characteristics just within a day. Just imagine if all these different characteristics are labeled as “I”s, meaning you in different moods. And if all “I”s were to battle over the steering wheel of a car, it will crash because no specific “I” will be in control of the car. What will you do if you have too many “I”s trying to take control over the car? You will have to discard a few on the way and made the carpooling a safer one. The same concept goes for your life. If you want your life to move towards a destination safely, you have to get rid of all the bad “I”s, meaning getting rid of the angry mood, the greedy mood, the selfless mood, the worry mood, the restless mood and so on. By doing so, you will be the guiding principle of your life. All mental and bodily action would be within your own control. You will be the master of the “I” or yourself. Sometimes, having too much pride in being the master will have its side effects. Not one “I” is perfect by nature. You will still need to open up and listen to another person or else you would be lost in your direction. Shutting down another person’s views or opinions will cause bad moods among others. Thus the whole atmosphere would be affected by mood swings. We must remember that how we treat others will somehow affect our life. A person who treat others with due respect and consideration, not only make another happy, but also receive the same treatment in return. So, do you still want to make others happy in order to be happy or you would prefer to make a bad day for others and receive the same moody outcome? Try to get your viewpoint straight. It does not get any better spoiling another person’s mood by closing up all modes of understanding, negotiation or agreement. There are many sources for our happiness in our life. One of the sources is to have friends that we can depend and seek upon when there is a hole of emptiness in us. Stumbling along our journey of life, we have met many of friends and made plenty of friendships unknowingly. They have brought us so much joy, happiness and meaning into our life. We are aware that this friendship has enriched our purpose of living, sharing, caring, filling up that emptiness in our life and most of all provided us the light and guidance that have helped us to set the direction towards a better lifestyle. Who knows that someone could be our parents, teachers, peers, another blogger or just someone we look up to? 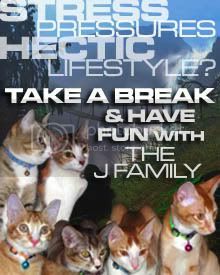 We shall explore the various elements and methods of strengthening friends and friendships which form the most important binding and relationship in our life. The main purpose of friendship is for us to grow mutually. As we grow, they grow and when they grow, we continue to grow. It is all part of our process of growing up in this society. With a good friendship, one has company when in need. One is guided when in lost and one gains more encouragement when glory comes to him. While seeking friendship, one should not push for it. It is a slow grooming process and cannot be obtained just overnight. It requires a long term investment of time, patience, understanding and trust, without weighing age, gender, race, religion, country and so on. I am glad to have known quite a few good friends along my journey in life. They are very supportive of my views and philosophies in life. Without their encouragements and supports, I would not be where I am now, putting all my efforts in showing some lights to help those people out there to have better lives. 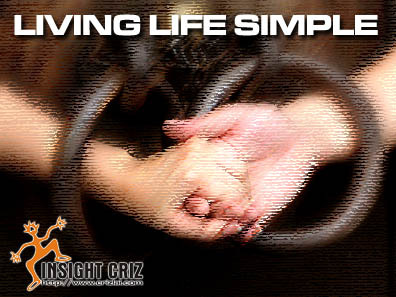 Thank you very much and welcome to my new website… Insight Criz: applying love in our life.